Early this week I wrote about human vision and the scarcity of circular photographs. This led to a post about the retinal photograph of a rabbit and a couple of posts about circles and bunnies (here and here). 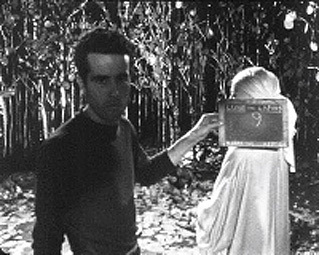 All of this got me thinking about avant-garde cinema. Surely there must be a film about bunny-eyes? 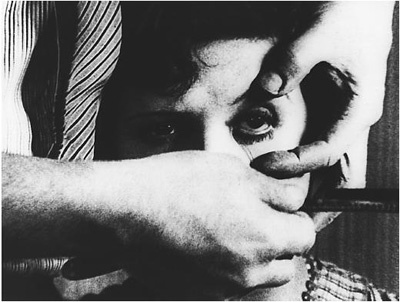 still from MUn Chien Andalou. Watch the movie here and here. Still from Emak Bakia. Watch the movie here and here. 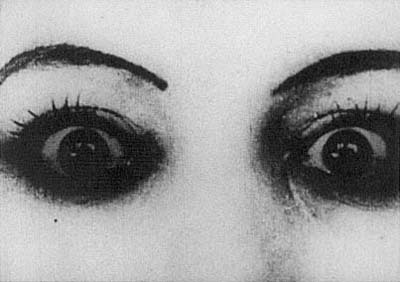 I found more of Kiki’s eyes in Ballet Mécanique (1924). The movie was made by Fernand Léger with cinematography by Man Ray – still no bunnies. 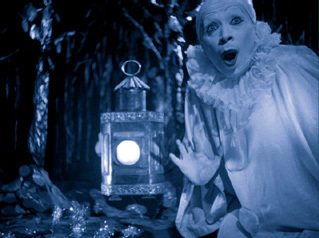 Still from Ballet Mécanique . Watch the movie here and here. 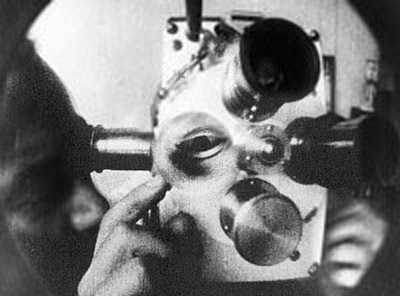 All of Anger’s films are separate movements in one vast film, a large symphony in which all kinds of rituals occur as here with the stultifying return of zoom after zoom into the blinding full moon which looks down on the progress of Pierrot from romantic illusion to destruction. If Pierrot is Anger himself, then Pierrot’s new toy, the Magick Lantern, is obviously the cinema. Finding the identity of the song, and a copy of an official release, became my personal mission. 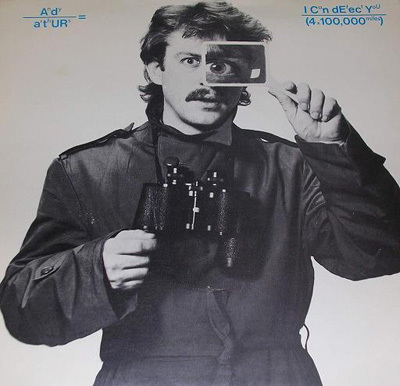 I began referring to it as “the most obscure song in the world” and as “the greatest song no one’s ever heard.” For seven years, on and off, I searched for any clue…. The song literally seemed to have come from nowhere—as though Kenneth Anger, desperate for the perfect soundtrack, had conjured it ex nihilo from the depths of the netherworld in some shadowy deal with Lucifer. I shuddered to think what Anger must have offered in return. Finally, in early 2004, as I was losing hope—a sudden surprise breakthrough. Through a string of coincidences involving an Australian woman named Anne I tracked down the aforementioned Andy Arthurs. He was indeed the culprit, and identified the song as “It Came in the Night,” an extremely rare non-album track by A Raincoat. A month later I ordered the single from an Australian record dealer for a mere $10 plus shipping. At last, I scratched that seven-year itch. Hey Jay, the creator of Alba has also worked round. I think it is interesting that the people on the far edges of both the scientific/poetic spectrum are attracted to this shape. Rectangles are for everyone in the middle. 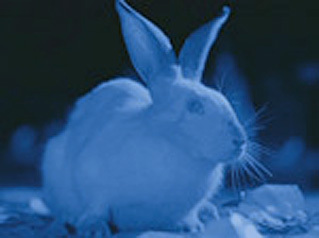 Off on a tangent: there’s “Harvey,” a movie about a white rabbit in which no rabbit ever appears. That song sounds like a demented children’s song. I’ll definetly have to watch those films though. You’re killing me, Alec. I searched high and low for a screen shot of when Bugs Bunny is seeing spots from rabbititus, but to no avail.